Engaged Cornell is a university-wide ethos fueling the advancement of Cornell’s public engagement mission through community-engaged discovery and learning. The Office of Engagement Initiatives (OEI) amplifies the Engaged Cornell mission, and prepares and inspires students, faculty, staff and community partners to work together to solve the world’s most difficult problems. Learn more about OEI’s vision, mission, values and goals. Want to stay connected? 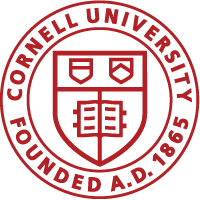 Subscribe to the Engaged Cornell mailing list!